What is a Periodontist and when should you see one? If you’re wondering what a Periodontist is, and what they do, then you’re just like most people. Sometimes our dentists refer us to these specialists like Dr. Trujillo for certain problems or the periodontist might be more suited to your current situation. A periodontist is a dentist who specializes in periodontal disease, oral inflammation, and dental implants . They receive an extensive education along with training in these areas including three extra years of education after dental school. Periodontists usually treat more problematic cases like people with severe gum disease or some who have an extensive and complicated medical history. 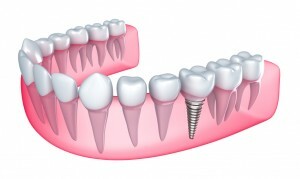 In addition, they offer specific treatments such as root planing and scaling, or root surface debridement. A dentist can help treat gum disease through routine and deep cleanings, but periodontists are needed for advanced cases of gum disease called Periodontitis which are out of the general dentist’s ballpark. A periodontist appointment should be scheduled after you get a referral from your primary dentist. There’s a number of reasons why this would happen. You might also see a periodontist to receive, fix, and/or maintain your dental implants. Severe cases of periodontitis can lead to some of these health problems, even cancer. Studies have also shown that pregnant women with unhealthy gums and teeth often give birth to babies with a low birth weight. If you or someone in your family needs periodontal services, Dr. Trujillo at Arizona Periodontal Group can treat all of your concerns. Please don’t hesitate to give us a call, and set up an appointment.